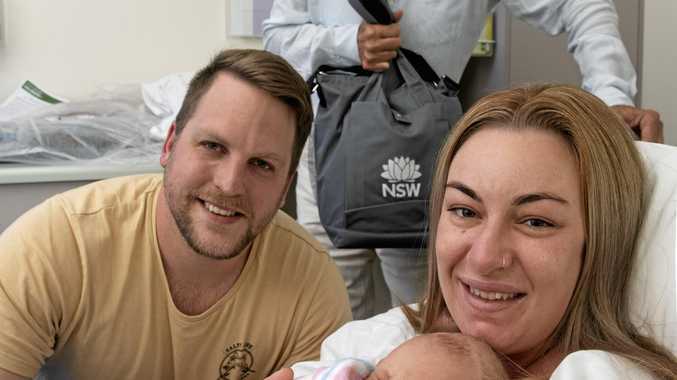 New parents Amanda Crawford and Matthew Laki with their three hour old baby, as member for Clarence Chris Gulaptis delivers them a baby package from the state government. Adam Hourigan. WITH his daughter-in-law due to give birth any day now, it would seem the perfect time to promote a 'baby bundle', but the timing is just fortuitous for the State Member for Clarence. "It's coincidental to be honest, but it certainly is an exciting time," Chris Gulaptis said. "Being at the hospital and seeing this baby only two hours old, reinforced how exciting it is." The State Government introduced the 'Baby Bundle' in January and provides new parents with essential items such as a sleeping bag, play and change mats, a first aid kit and thermometers. "The days of Dad lighting a cigar in the waiting room are mercifully long gone and this Baby Bundle initiative is a small way for the NSW Government to say welcome to NSW, little one!," Mr Gulaptis said. The bag also provides parents and caregivers with products and information to support the health, development and well-being of their babies. "We know there are lots of expenses associated with having a child, so this bundle will also help alleviate some of those cost pressures," Mr Gulaptis said. "A new baby coming home is a great time but it also can be challenging and this bundle aims to help parents enjoy the moment rather than stressing out." 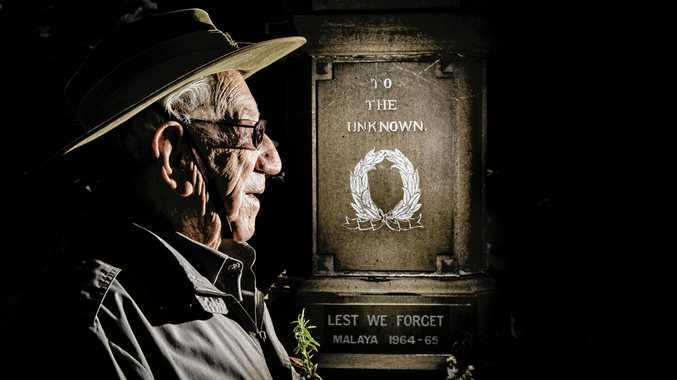 When Mr Gulaptis was asked whether he would be the one to personally hand over bag to his son and daughter-in-law, he said he could not. "I would love to but she is being born in New York." On the timing of the announcement at the start of the federal election campaign, Mr Gulaptis said it was a state issue, not a federal one. "But every politician likes to kiss a baby, so if it enhances his campaign good on him."